Developing Siachen Global Business Directory – Your business needs a page! 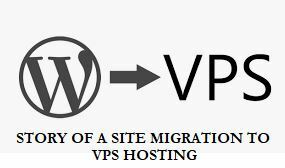 Story of building Siachen Business Profiles Directory; brick by brick: Introduction: This is the story of how one business directory…..
Story of a Site Migration from Shared Hosting to the VPS Web Host, Hosting Raja of India. T. P. Gopinath, November 08, 2018. The article deals with the challenges of website migration in general. It is also…..
T. P. Gopinath, 14-Sep-18. If you or I were accused of a sexual assault, it is likely that we will…..
T. P. Gopinath, August 19, 2018. Updated on 25-Aug-18 & 13-Sep-18 Table of Contents Introduction; are we really prepared for…..
T. P. Gopinath; July 22, 2017. How come the Malayalam Super star who has been put under police custody come…..
Confiscating the advertisement leaflet to avoid reading the newspaper; memoir of a son. T. P. Gopinath; Nov 04, 2016. As a school going child, Calicut was the biggest city i had known. Father…..
T. P. Gopinath Sep 17, 2016. As a child, someone who is a close relative whom I called grandfather told…..
Wayanad in Kerala – the pristine queen of Indian hills. T. P. Gopinath Aug 27, 2016. Summary: Of all those places people love to travel often, hill stations have both…..
T. P. Gopinath Aug 19, 2016. It was an emotional reunion of a different kind. Highlight of my recent visit…..